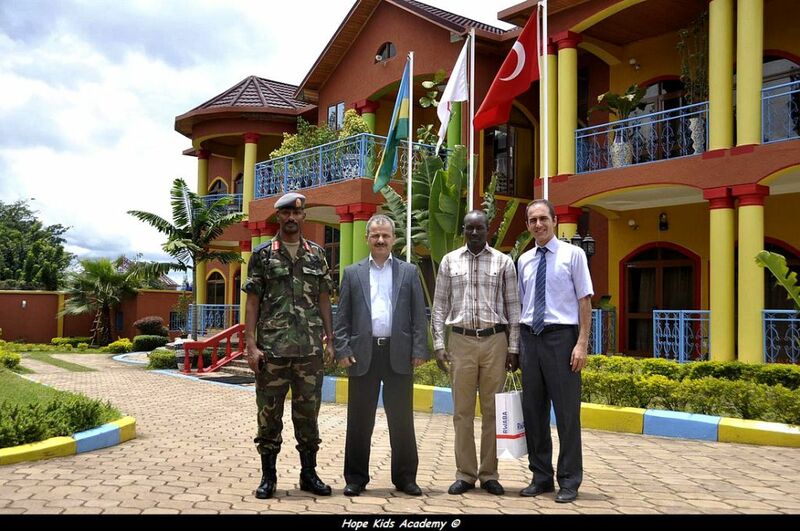 The chief of Rwanda Air Force visited the first Turkish school in Rwanda, last week. Relations between Turkey and Rwanda are very good. In less one year, Rwanda opened a Rwanda Development Board office in Turkey as well as an embassy. Turkey will built a 100 MW power plant and its national airline has built strong ties with RwandAir. Last week a Rwandan delegation was in Turkey, in particular they visited Turkish Airlines headquarter. It is us, Hope Kids Academy, who first and alone offers Cambridge Primary, Secondary-1, and Cambridge ICT Starters programs in Rwanda. HOPE KIDS ACADEMY is a learning community that promotes the holistic (physical, emotional, spiritual, social and moral) development of individuals into future leaders who will shape a more peaceful world. • Wonderful facilities including but not limited to art and music rooms; science, computer and language laboratories; swimming pool, basketball and football fields, playground. RwandAir operates a special flight to the South Sudan's capital Juba.